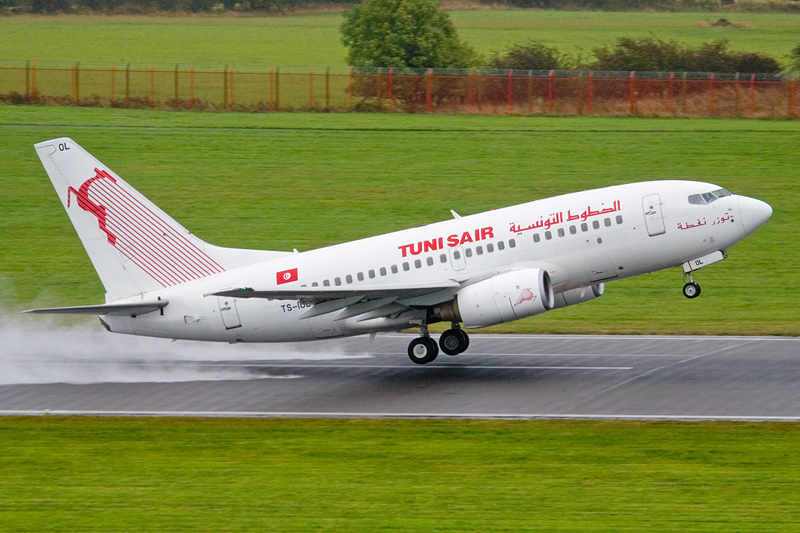 A rare airline and type made a re-appearance at Newcastle Airport today, as the Tunisair Enfidha charter series, originally planned to be flown by Airbus A.320s for its final five rotations, had, only within the last month, become a programmed Boeing 737-600 op for the first three Saturdays of October. TS-IOL made the type's sixth landing here on the first of these flights this morning, the aeroplane becoming only our fifth of what was a production run of just sixty-nine examples of the shortest 'NextGen' 737 variant. The airline itself had last appeared here exactly thirty years ago, with an earlier 'short' 737 model, on a fortnightly Monastir series.